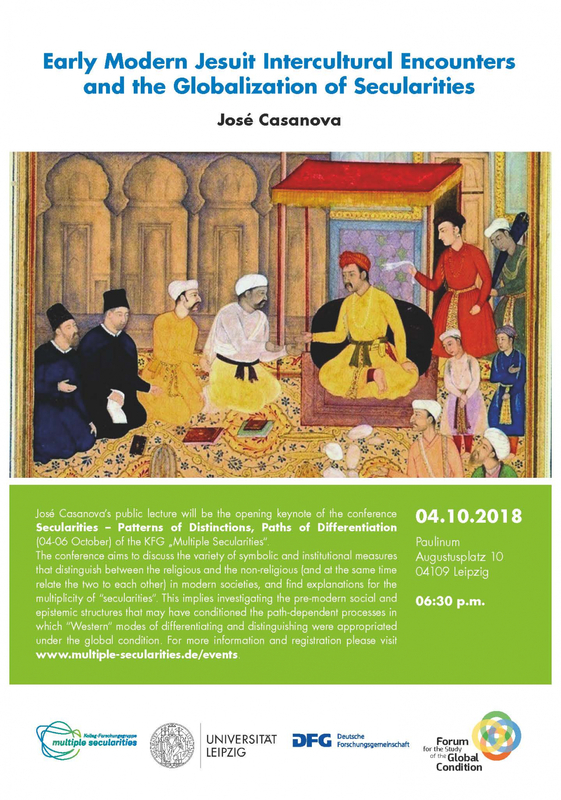 José Casanova’s public lecture will be the opening keynote of the KFG's Conference on Secularities – Patterns of Distinctions, Paths of Differentiation (04-06 October 2018). In order to understand the construction of religion and secularity throughout Asia today one need to take a long duree historical approach that takes into account the colonial encounters between East and West through three distinct phases of globalization. The early modern phase of globalization before Western hegemony was shaped primarily by the encounters between the Jesuits and the religions and cultures of Asia. The categories of religion and secularity had not yet acquired a stable and identifiable form, but these early modern colonial encounters played a significant role in the emergence of the categories in the West in the transition from the first to the second phase of globalization. The presentation will focus on Jesuit intercultural encounters in Japan and China.